Did you ever try to use your device and couldn’t see through the screen? Maybe it’s water damage, or perhaps it’s cracked. We are a division of PC Repair on Wheels. And we can help get your device back to good working order once again. Here are the models of iPhones, we fix. If you do not see yours listed, please call. 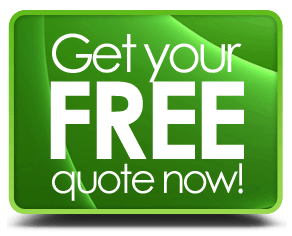 We have i Techs, who can handle the job and give you an honest estimate and evaluation of how much it’s going to cost. So rest assured we are serious I Technicians and can help you today. We work hard to get your Device done on-time! We know how important your device is to you and maybe you are a Doctor or a Lawyer and need your phone for business. Well, you can ask any of our customers, we work hard to get everything done right and on-time. We handle most all models! We can handle just about anything you throw our way. There is no doubt about that. 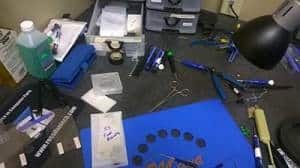 Although the first Apple model is usually hard to fix because it’s considered un-fixable, we handle every other model. Models we can repair are the iPhone, 4, 4s, 5, 5c, 5s, 6, 6 plus, 6s, 6 s plus. If we cannot fix your device and have to run tests, there is a charge. Please contact us for details. Hey, we understand everyone has concerns when coming to a business you don’t know. Well, let me put your mind at ease. 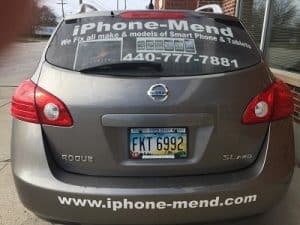 We also own one of the oldest long standing PC repair companies in Cleveland. Pc Repair on wheels is our other company which has been around a long time. And, we are backed by the Cleveland BBB. So, rest assured you will get excellent service. What If I Want To Be Like You And Try It Myself? I would encourage anyone who wants to learn, but again, it’s not going to be easy. And consider if you don’t do it every day, you may forget the next time something happens. So, I’ll include a video for you to follow along with if you want to try it yourself. Each product Apple puts out year after year is usually a great product and one that wows customers and tech fanatics alike. However, as with any company, they have their fair share of problems. So, let’s go over a list of problems each device may have, what to look for and maybe help you decide if you need our help or not. The iPhone 4 was an excellent device when it was released. But it did have its issues that did not go without notice. We also offer iPhone 4 repairs. We also offer iPhone 5 repair and iPad repair. One of the most common problems we see in our office is people coming in saying, all was working good, and then many apps started crashing. As stated above this can happen on certain phones more than others. However, there are steps you can take to try and fix the issue yourself. One thing that can cause apps to crash is the system memory. Many people do not clear out their programs after using them also. So, when apps start crashing look at the memory first. One thing you can always try is doing a soft reboot. It will clear everything in its system memory and reboot your machine. Just press the home button & the power button at the same time, When it’s asked to power off just keep pushing the buttons and let it reboot itself. Does your device crash over and over? It can be a common problem with almost any of the Apple models. If so, here is a helpful article to try and remedy the problem. One of the things we do daily around here is troubleshooting of these beautiful technology devices. Many times, when someone brings us a problem with an Apple product, this is what we have to do. Sometimes, on the surface, things just don’t make sense. It’s a systematic plan, but usually, it works at least to narrow down the problem for most iOS issues. Here is the article to do this. Well, I remember the day my daughter was still very young, and she was running on the sidewalk near our house. Well, she fell and in her hoodie was her device. When she got up, the screen was cracked, in fact, it was shattered. When my wife called me at work, I could hear my daughter crying in the background. “what’s wrong”? I asked my wife. “Well, she fell and broke her new Apple device.” My wife replied. And boy, let me tell you my daughter loves anything apple and the things she can do with them. So I knew she was distraught. This story was back in 2008, and I knew technology very well, but I wasn’t sure what to do. So I searched online for how to repair this device that had brought so much joy to my daughter. And let me tell you it wasn’t easy at first. It was all new, and there wasn’t much information on the web yet. But, I didn’t give up. So, after finding some resources and technical articles, I decided to take this into my own hands. After all, I have been fixing computers for years. Since 1992 as a matter of fact. I can sure do this. Well, it took a little trial and error and some frustration, but I was able to make my daughter’s life much better and get it fixed. So, trust me when I tell you, it’s not easy what I do. It takes skill and hours of learning to do anything like this. I am a pro now, and I know I can help you. There are other shops in town, but none that are backed up by one of the oldest tech companies in Cleveland. 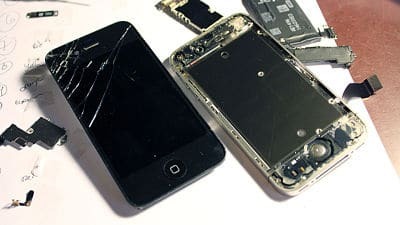 We can also do iPod repair for most generations.